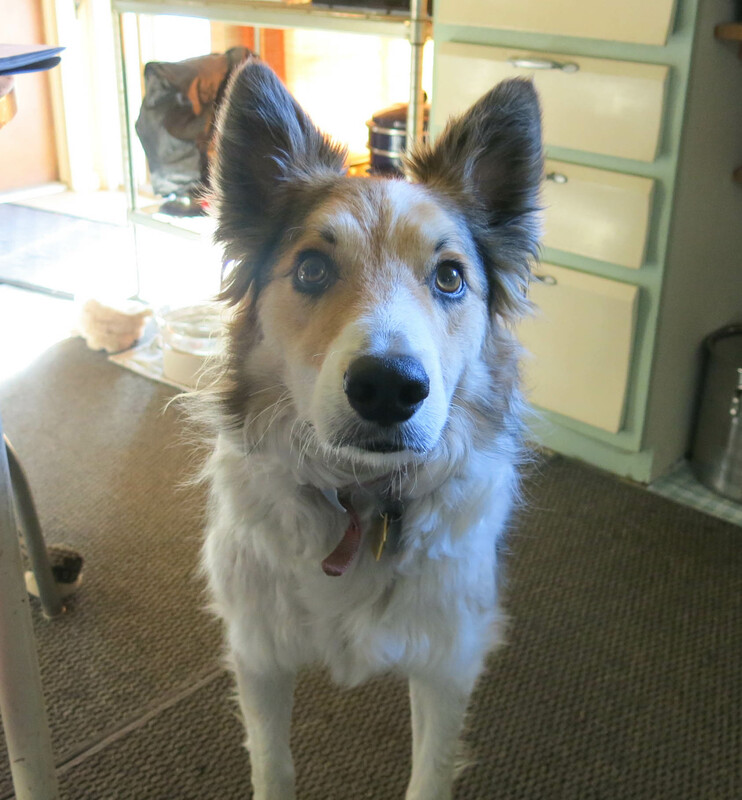 Greetings and salutations, everyone; yes, once again it is I, Mani the purebred border collie, Mani the goose-chaser, filling in for the guy I live with, and here to bring you some pretty interesting gardening news. You may remember me from such posts as “A Bit Of Work”, among so many, many others. Here I am in a characteristic pose. I got the biscuit, too. 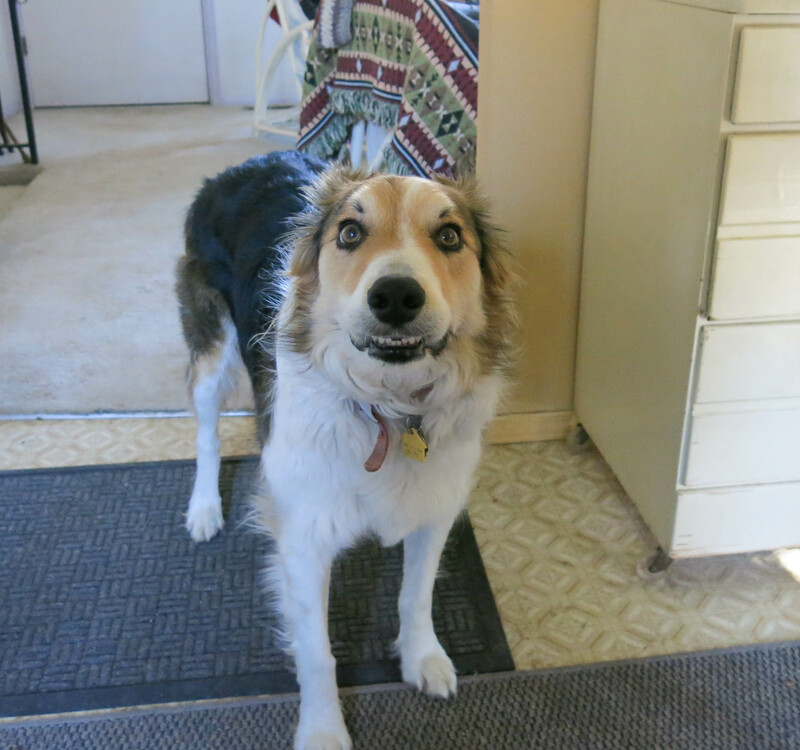 This was me a bit earlier, when I was about to say something about my dinner. I got that, too. Today was what almost anyone would call a very nice day. It was sixty-nine degrees (that’s twenty Celsius), with eight percent humidity. The first thing that had to be done, this morning, I mean after my breakfast but on my walk, was policing the geese. I wanted to walk where they were standing, so they had to move. For some reason they like this little hill. It’s an artificial hill, by the way. It used to be a sort of–according to the guy I live with–haunted woodland with scary trees and an abandoned house and broken-down barbed-wire fences. 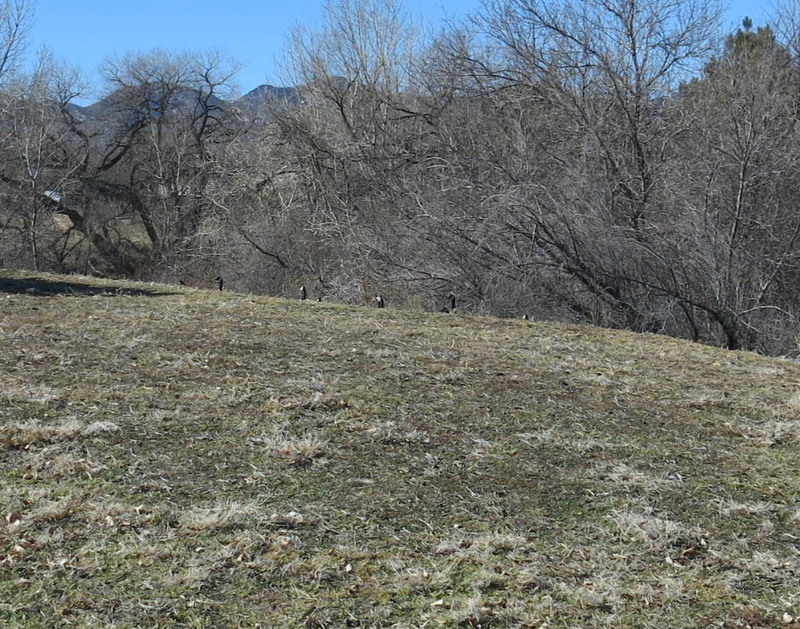 Now it’s just a hill, with geese on one side of it. Sometimes they’re at the top, too. So that was me, policing the geese. We really have to watch where we walk, when we walk on this hill. For not just geese-related things. While we were walking over the hill, the guy I live with told me that they had discovered a supercolony of penguins, like over a million, in Antarctica because they could see all the poop from space. That would be a lot of poop. Someone told him about the poop-from-space thing and and he looked it up just to make sure it was true. The guy I live with says that the next stuff is much more important and to focus more on that. 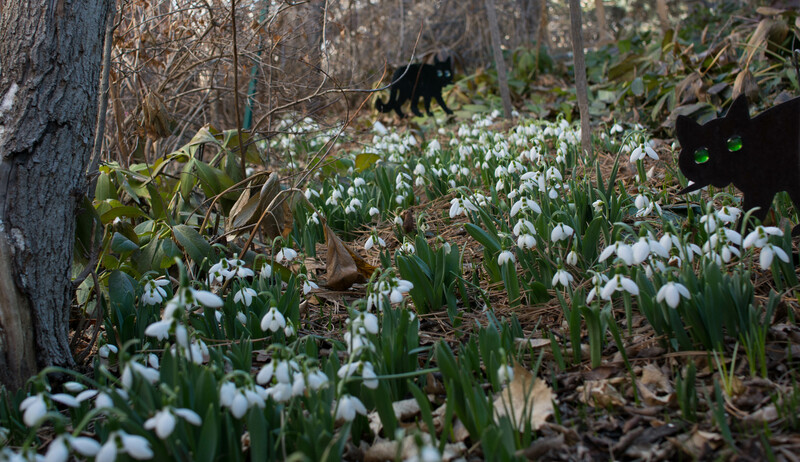 This is what the flock of snowdrops looked like in the shade garden today. So much for the big temperature drop of a while ago. Those are French scare cats, if you didn’t know. I’ve talked about them before. They’re not made to scare the French, they’re made in France, to scare the birds so they won’t shred the snowdrop flowers. The big thing that happened today was the sowing of calochortus seeds. This was a lot of work. I just watched. The way I see it, if something’s going to be a lot of work, it’s better to watch the work being done than to have to do it. 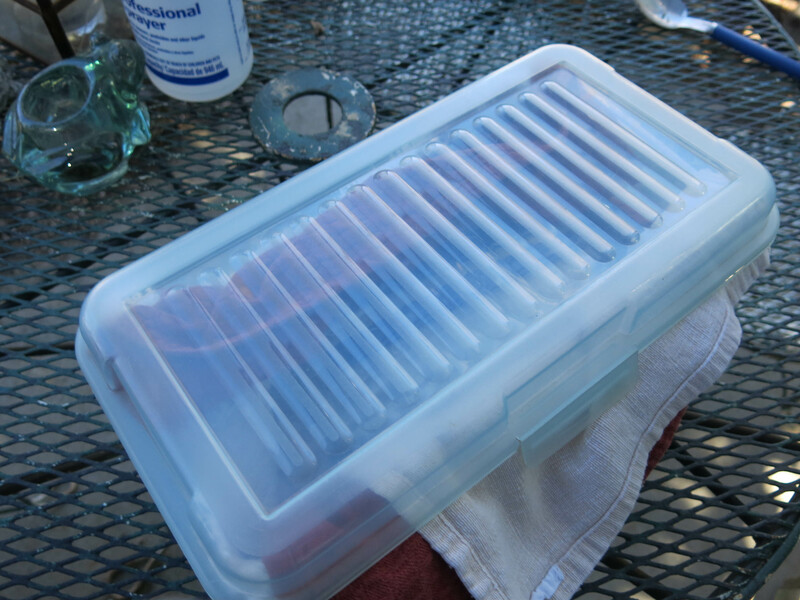 The calochortus seeds were in this box in the vegetable drawer in the refrigerator. I talked about this in the post titled “Up In The Air”. Some of the seeds were germinating. I was amazed to find that some of the stuff he does actually works. 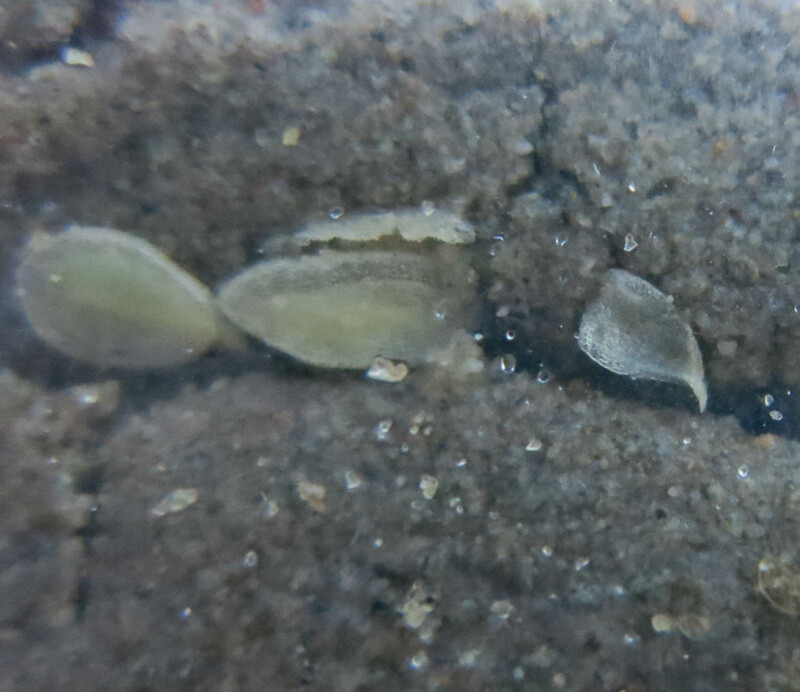 Water was poured into the bags of seeds that had germinated; the water and sand were poured onto a sieve, and then the excess sand was sprayed away with water, using a sprayer. Then the seeds were plucked off the sieve with tweezers. 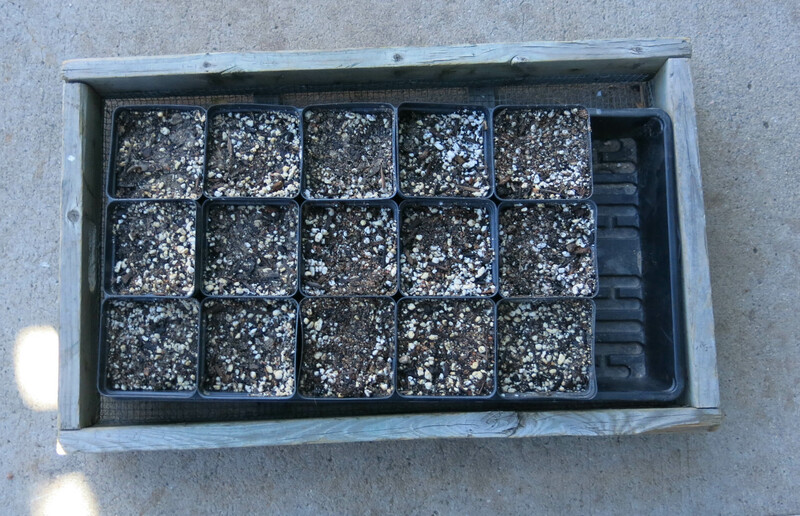 The seeds were sown into these pots, which are going upstairs under lights. The guy I live with is not happy about the soil-less mix at all, but he says it will do for now. A little fine gravel was sprinkled on top of the seeds. Now we wait. 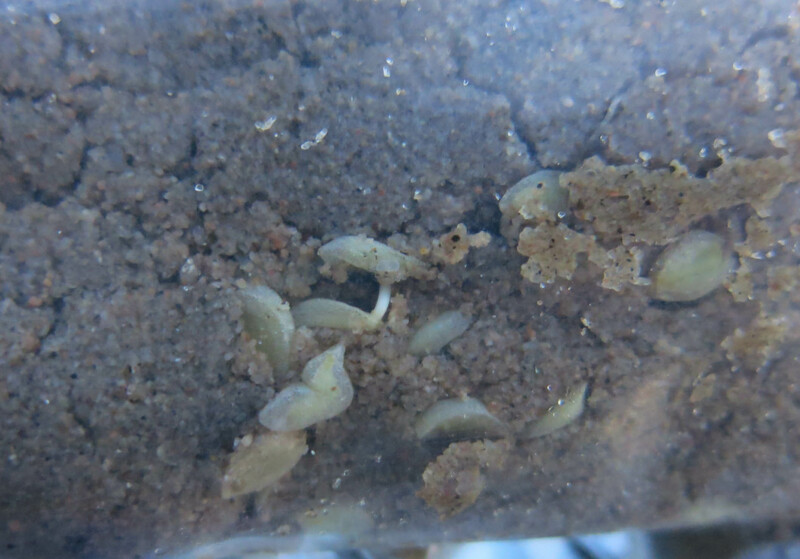 Not all the species germinated so those bags went back into the refrigerator. 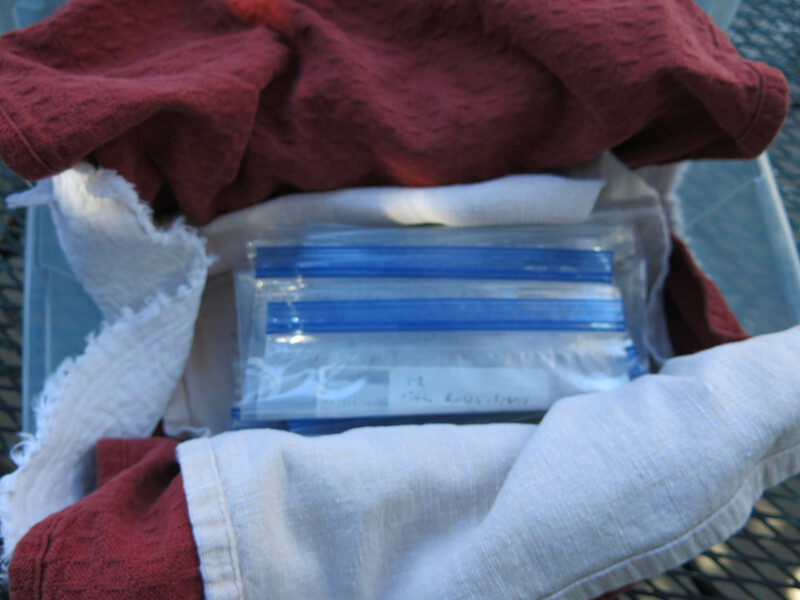 The bags do get checked every so often to make sure the seeds aren’t being frozen. Well, that’s really all I had for today. There was a lot more gardening today than there has been in quite a while, and I really enjoy that. Calochortus is an odd thing to grow. They grew wild in the hills above San Luis Obispo. I wonder if the grow in Los Angeles County too. People who are into California natives seem to like them, but I do not know why. They like to live out in rocky hillsides where they get left alone. I tried to move them closer to home when I was in school, but they do now want to live where they get water, or with other plants. I bet if some of those French scare cats were moved out to the hill, the geese would stay away. Even if the geese are from Canada, and therefore not French, geese are probably not too fond of French cats. If they know what the French do to geese, they probably dislike anyone French. Probably, huh. 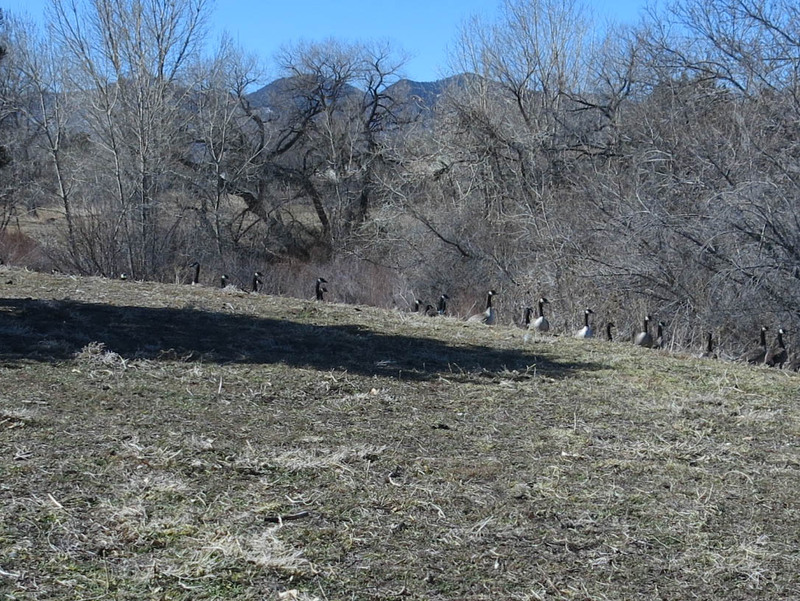 The geese weren’t there on my morning walk, and I suspect they were thoroughly frightened by my vicious demeanor. (I actually just looked at them.) We grow a few calochortus here, but the guy I live with said he wanted more. They probably do well in unrefined areas, like yuccas. Depends on which species. Calochortus gunnisonii is a subalpine species, native here, and the others in the refrigerator are semi-desert ones. You know, Mani, I’ll bet a lot of the stuff TGYLW does actually works. I was inspired to put a few seeds in the refrigerator myself but they are easier seeds. I am wondering if I can just plant, sand and all instead of spraying the sand away. Call me lazy, it would be true. Also, where does one obtain fine gravel? I know these questions don’t interest you Mani, but you are writing a gardening blog, right? Or, wait, are you? It is kind of a gardening blog. It was more of one a long time ago, then the guy I live with thought it would be nice to have Chess be the narrator, which changed the blog from just a gardening blog to one which can only be described as totally super-excellent. In my opinion, anyway. The guy I live with said that yes, you can put the sand and seeds on top of a seed pot, or I guess just sow them on the ground, though there might be differences in the planted depth of the seed, which may or may not matter. The fine gravel here comes from a local nursery. In very heavy bags. It’s called “squeegee” here. Don’t ask me why. It just is. (There’s an even finer thing, crushed rock really, which is called “breeze”.) There’s also gravel from abandoned ant hills. That needs to be washed first. Weed seeds. Oh, this is funny. The guy I live with told me that once he got something called “turkey grit” and sprinkled it on seed pots. A few days later he went down into the laundry room and there was white foam all over the pots. Naturally, he tasted the foam. (Who wouldn’t, right?) It was salt, from the grit. So no more turkey grit. Well, I’m sure you would have tasted it, Mani. I’ve been covering seeds with fine vermiculite which seems to work okay. It’s very light and!! salt free. for decades with no problems. Actor Andy Griffith was born in Mount Airy, and the town is believed to have been the basis for Mayberry, the setting of the The Andy Griffith Show. Yes, but that’s in North Carolina. No doubt they ship by weight …. Haven’t been receiving new posts on my email, so I am signing up again. Well this is just bizarre. The guy I live with said that just this morning (the seventh) he was getting emails sent from Facebook on the fourth, so things must be weird all over. I suppose we could try contacting WordPress and asking them what’s up. 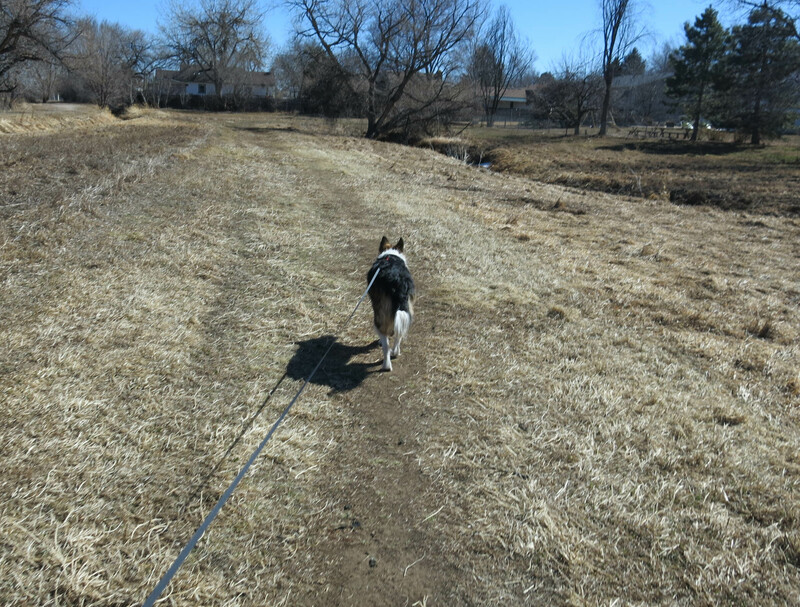 Ears forward and up, ears back and down. Totally super excellent, as you said. 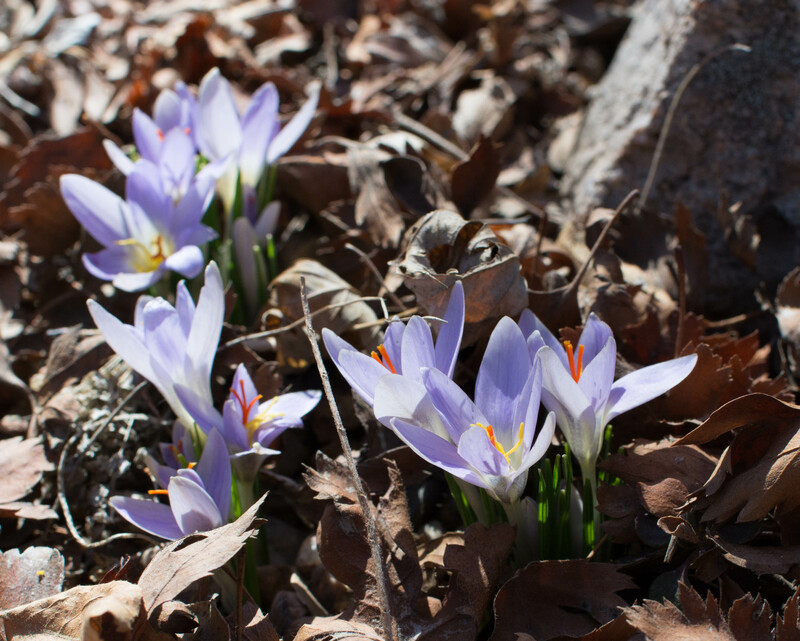 I wait for the crocus photos to appear each year, they are such a pretty and hard-working plant. The snowdrops are beautiful in what I understand is a gated garden. They strew themselves so well under the tree. 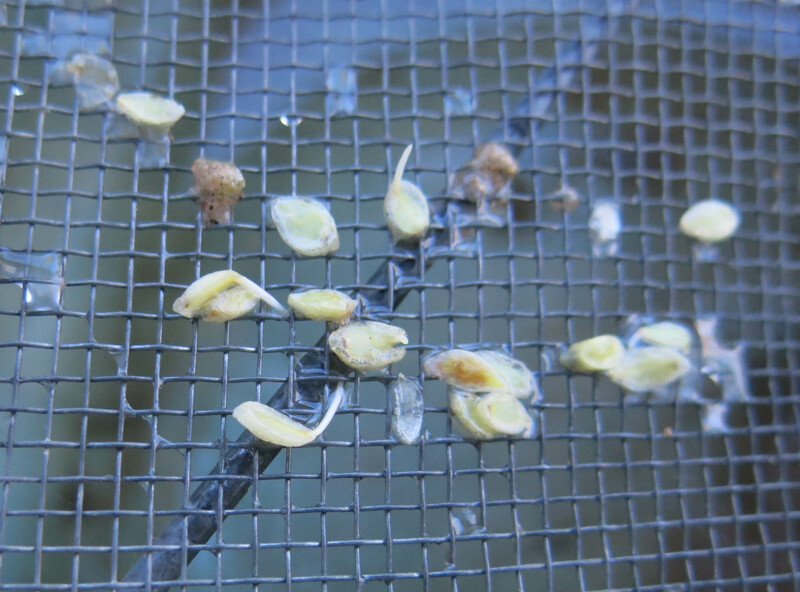 Seed germination seems a Zen occupation, especially the tweezer work. And then they get planted, hostages to fortune. Although less so in a gated garden, of course. Happy sun, happy snow, happy gardening, Mani. Thanks; it was fifty-five degrees here today and all of the snow is gone. “Hopefully forever”, I hear. Some rain would be nice. It used to rain in March, April, and May, back in the last century, but really hasn’t here since 1995. I wasn’t around to verify this. The gate on the east end of the shade garden was installed prior to a garden tour, because there are cyclamen and snowdrops in that garden, and they get stepped on even when you ask people not to step on plants. The tree is dead, by the way. It was an Amur maple (Acer ginnala). All sorts of chemicals were thrown into the garden, before the fence was installed, and maybe that’s what killed the tree. But it has a certain presence, even so. The calochortus will go into the back yard, if they grow. Regionally sourced granite turkey grit is probably available at one of your local Tractor Supply stores. Starter size(1mm) make a most excellent top dressing for seed pots.